Optimum Nutrition Micronized Creatine - Each Optimum Nutrition serving supplies a full 5 grams (5000 mg) of 99.9% pure CreaPure brand Creatine Monohydrate. The patented production method used to produce this Creatine yields a tasteless, odorless powder that mixes easily into water or juice and does not readily settle to the bottom. As a result, the gritty taste or texture you may have experienced with other Creatine powders is not associated with this product. Averages based on 47 total ratings. Odourless, tasteless, very effective and works as described. Definitely notice the difference in weight and strength training; very important to keep up water intake. Tasteless and mixes well, a lot longer than others i have tried in the past. Highly recommend. Love this creatine. Very easy to mix and tastes good. I gain very good benefits from it. Fast postage. Thanks very much. No complaints with this product. not bad stuff, I'm seeing changes to my arms! i recommend it!! so far after using it for a few weeks, ive realised a major imporvement in my msucle size and growth. Great value and a great product. For those who have a problem with it being a little 'gritty', try mixing with warm/hot tap water first then add cold to help it fully dissolve. Received item within 2 days of ordering ( Interstate order ) Really happy with the product and service, will definitely be buying again. Definitely seeing improvements when I take it 30 min before workouts I feel energised. Real good value for money with the bigger tub, have no issues mixing it up with a scoop of whey post workout. Drinking this after workout's has boosted my gains! Great product, great delivery time. Easily mixable and got some great strength gains with this. Good value creatine supp. Always good to help drive through and get every last rep out of every single set. Little bit gritty but hey, thats creatine! Superb quality from ON and i actually received this the same day i ordered! with a couple freebies, i love getting anything from this site they always look after their customers. Noticeable increase in strength, no downsides so far and i got it for a decent price, thanks. Mixes well and definitely my favourite creatine product. Normally i take my protein (casein+ whey isolate), carb supp and bcaas as a post workout shake mixed with milk. Can i add creatine in that mix with milk or not?? Yes you can mix it together with your protein powder just make sure it is fully mixed because creatine is known to have a gritty texture. Is it best to take Creatine before a workout, or after a workout mixed in with my protein shake? Taking creatine after a workout together with your protein shake is more effective. ATP is the organic compound found in muscle which, upon being broken down enzymatically, yields energy for muscle contraction. Creatine enhances your body's ability to make protein within the muscle fibres, which also increases your muscle mass (Creatine increases cellular hydration. The hydrated muscle has increased permeability, which allows more amino acids into the muscle cell). Building up a supply of these contractile proteins ( actin and myosin ) increases your muscles ability to perform physical work. The bottom line here, is that creatine will allow you to to perform more repetitions with a given weight. This will increase the time under tension, thus increasing the recruitment of muscle fibres, which will in turn increase the number of fibres stimulated. It also prevents your body from relying on another energy system called glycolysis, which has lactic acid as a byproduct. Lactic acid creates the burning sensation you feel during intense exercise. Is Creatine safe to take for long periods? In truth nobody knows although it does appear to be safe with no adverse effects reported in any study which we are aware of. Some people have been taking as much as 20-30 grams a day since it was first available in 1990. Are there any noted side effects? Creatine is so efficient at shuttling water into the intramuscular compartment, that an emergent side effect associated with it is that of muscle cramping. This most often occurs when too little fluid is consumed whilst supplementing with creatine. Muscle Cramping, strains and tears are all anecdotal evidence that are not supported by scientific fact. Creatine draws water away from the internal working organs and therefore if you take a lot with no water then a mild stomach cramp will occur. Yes, Creatine is a natural amino acid present in the body of humans and animals. The human body has 100-115 grams of creatine in the form of creatine phosphate. No negative side effects have been noted in the research with the recommended levels of supplementation. Add 1 rounded teaspoon of Micronized Creatine Powder with a glass filled with 236-354mL of cold water or fruit juice. Then mix it up with a spoon. 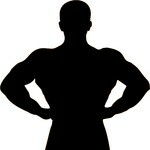 TIP: Power-up protein, meal-replacement, and weight-gainer shakes with a rounded teaspoon of Micronized Creatine Powder .